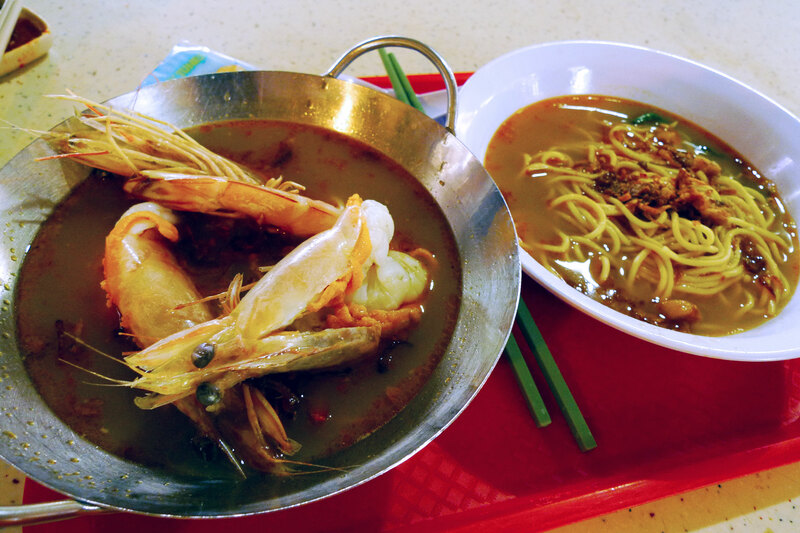 Went to Pek Kio for lunch and found out that this was the hawker centre with the famous Wah Kee Big Prawn Noodles. I’d heard that it was good and after reading the review on ieatishootipost, I knew I had to try it at least now that I happened to be here. I ordered the $10 dish which came with 3 pretty large prawns which came with a bowl of noodles. The soup stock for the prawns and the noodles is sightly different. I hear they fry garlic with the prawn brains and head shell to make the stock for the soup. 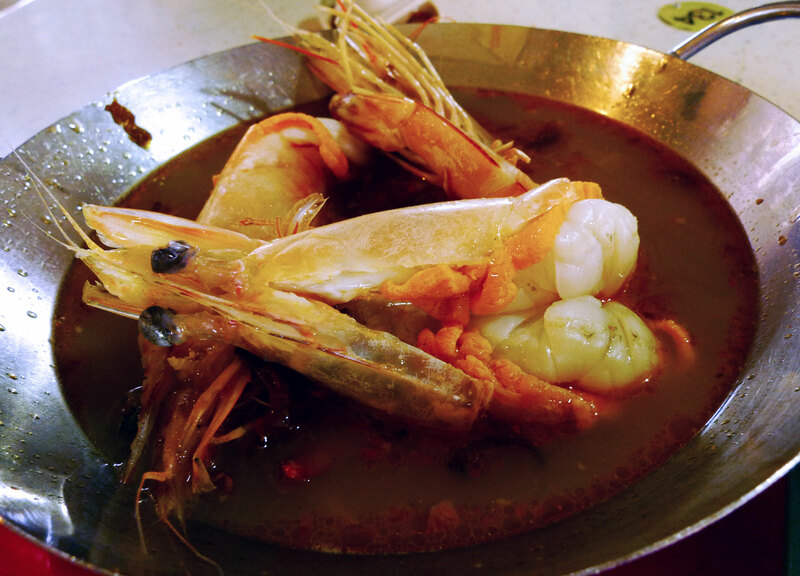 Whatever the method, the soup is very delicious and super strong for that prawn essence taste. A closer look at the big prawns. Very crunchy! 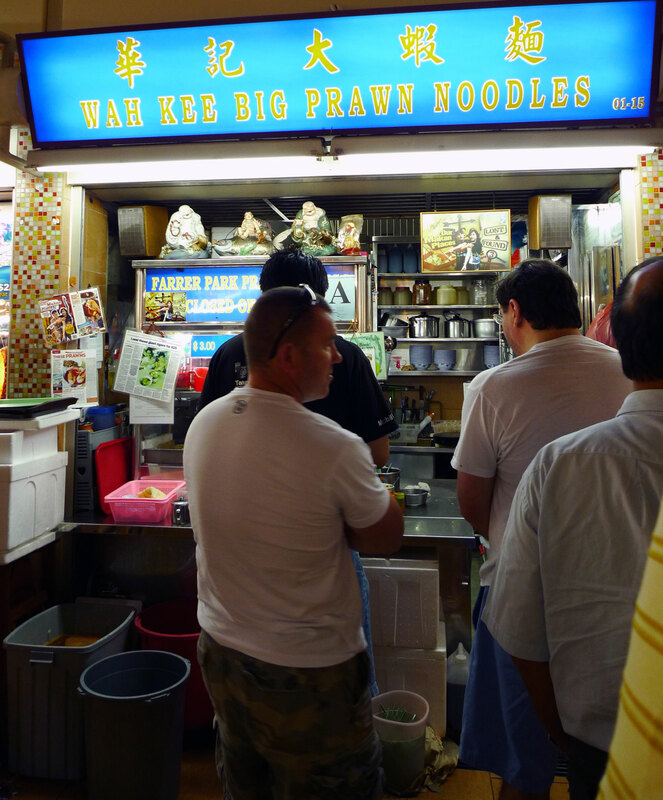 4 Responses to "Wah Kee Big Prawn Noodles"
will try this one out later!! !